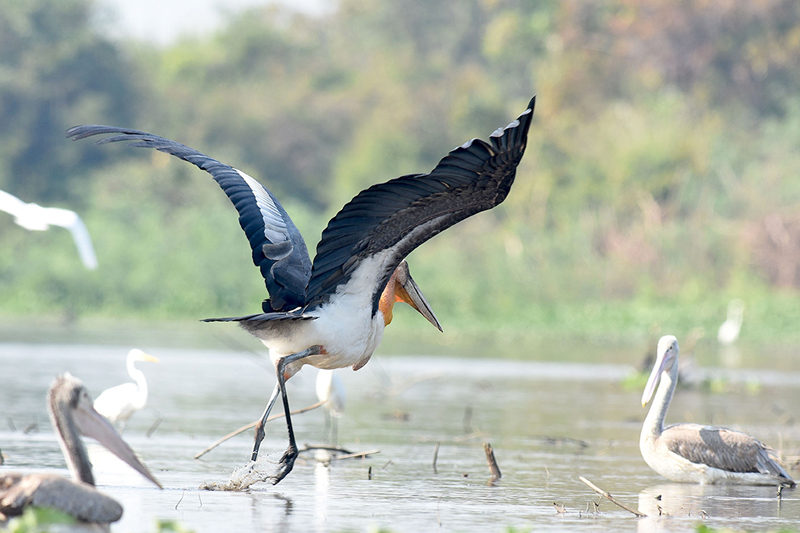 This route enables the birder to experience most of Cambodia’s special bird species in comfort. Three Critically-Endangered bird species: Giant Ibis, White-shouldered Ibis and Bengal Florican should be seen, as well as Greater Adjutant, Milky Stork, and Sarus Cranes along with a host of other exciting species. All accommodation is in lodges or hotels, distances travelled are short to moderate (maximum travel between sites is two hours and 30 minutes) and the pace of birding can be personalized according to the guests’ needs. 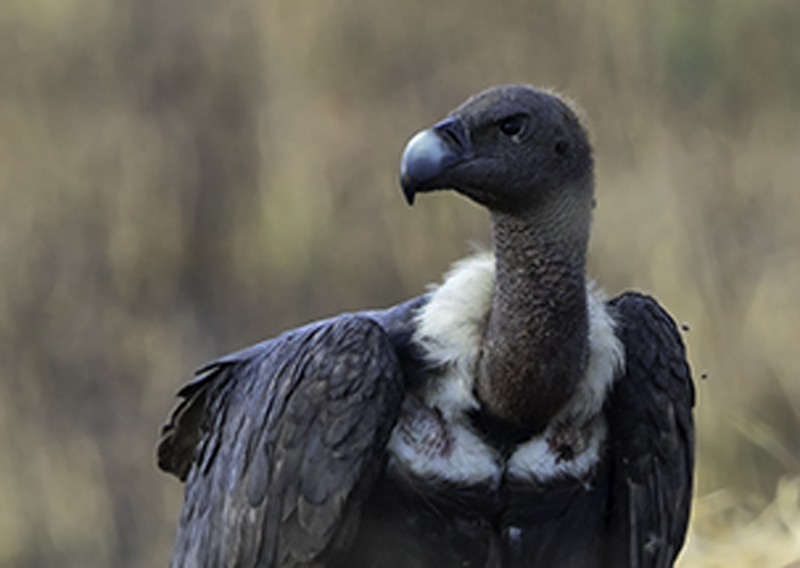 Meals, transport in a dedicated 4×4 vehicle and accommodation is all included, along with the undivided attention of our expert Cambodian birding guides. December to March, though different sites have somewhat differing seasonal highs for species and times can shift year on year. The open forests in the surrounds of the legendary Angkor Wat provide a gentle introduction to birding in Cambodia. Just six kilometers north of our base in Siem Reap, the complex of stunning and diverse ancient architecture is absolutely cannot be missed. As well as the spectacular temples, there is a great selection of birds to see, such as the Alexandrine and Red-breasted Parakeets, which nest here every year. We can also see Common Hill-Myna, Hainan Blue Flycatcher and a selection of fructivores including barbets, leafbirds, bulbuls and flowerpeckers. Dinner and night in a hotel in Siem Reap. There is a huge variety of hotels and guesthouses and we can help you find somewhere perfect for your stay. A day visiting the largest waterbird colony in South-east Asia is an unforgettable experience. We will visit a remote part of the flooded forest where Greater Adjutant and Milky Stork can be viewed from tree-top research platforms along with thousands of commoner waterbirds including Lesser Adjutant, Painted Stork, Asian Openbill, Black-headed Ibis, Spot-billed Pelican, Oriental Darter and Grey-headed Fish-eagle. We will visit a fascinating floating village at the edge of the Core Reserve, and there is the option to add a few extra interesting species in seasonally-flooded habitats on the way back to Siem Reap in the late afernoon as well. In the non-breeding season (December –April) we see up to 350 Sarus Crane foraging in the fields around this man-made reservoir. There is an abundance of waterbirds here and we expect to find scarcer species such as Black-necked Stork, Greater Spotted Eagle and Oriental Plover (March-April only). We also often see the Endangered Eld’s Deer at this site. The Tonle Sap grasslands support over half of the world’s Bengal Floricans. 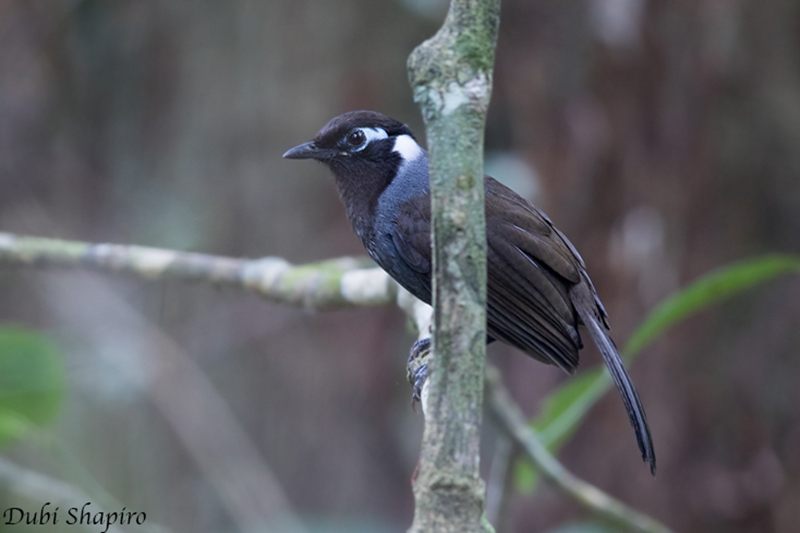 Our guides have a very good track record of finding these Critically-Endangered birds. Whilst we are enjoying the floricans, other birds we typically see include Sarus Crane, storks, Pied and Eastern Marsh Harrier, Small Buttonquail, Bluethroat and Red Avadavat. After a full morning in Stoung we will travel to Tmatboey eco-lodge. All day birding at Tmatboey. In Tmatboey Village, the local people are paid to protect the nests of two Critically-Endangered birds – Giant and White-shouldered Ibis. Consequently our guides have a 100% record of finding these species for visiting birders! The SVC-trained local village guides have made a special effort to locate the day roosts of nocturnal species such as Spotted Wood Owl and Brown Fish Owl so that these species can be seen without the loss of any sleep. Tmatboey also supports 16 species of woodpecker including the fantastic Black-headed Woodpecker, the huge Great Slaty Woodpecker and the scarce Rufous-bellied Woodpecker. Our guides know where to find these and all of the dry forest specialties such as the Indian Spotted Eagle, White-rumped Pygmy Falcon, Collared Falconet, Rufous-winged Buzzard, Indochinese Bushlark, Brown Prina, Neglected Nuthatch and White-browed Fantail at this or nearby sites. All day birding at Tmatboey, concentrating on species not seen on the previous day, or getting better views of memorable species. There will be enough time for some early morning birding at Tmatboey before moving on to Beng Melea, a spectacular jungle-temple ruin, where we can expect to see more forest birds including some rare winter migrants such as White-throated Rock-thrush. It is possible to visit Kratie to see Mekong Wagtail, Asian Golden Weaver, Small Pratincole and Irrawaddy Dolphin as a one-day extension to the standard one-week route. We have a 100% record with Mekong Wagtail on our one-day visits to this site. Kratie is reached by a 6-8 hour drive from Tmatboey on Day 7. One night is spent in a hotel in Kratie town and this will be followed by a return journey of 7 hours to Phnom Penh or 9 hours to Siem Reap on Day 8.